On a cold February 9th, MWS hosted a seminar on how to create a “Raven” from Teen Titans makeup taught by or own Morgan Everson. 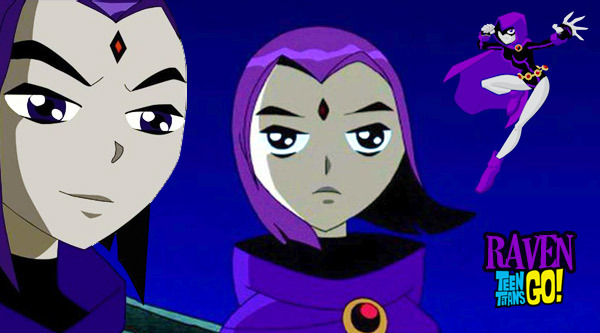 Raven is a half human, half demon character from DC Comics who embodies a dark intuitiveness. She’s an empath who can sense and alter the emotions of others, and is appealing in her isolation, emotionality and prowess. In other words, a very exciting character to transform into. Morgan Everson is a New York-based Makeup Artist. Growing up, Morgan loved TV and Film. After seeing the Wizard of Oz and watching it over and over as a child, she fell in love with the complexity of special effects makeup. As she got older she was drawn to beauty in high school, inspired by experimenting with her mother’s makeup; loving the way it made her feel and the way it made other’s feel. Her love of makeup took her to New York City to go to Makeup Designory (MUD) to further her education on the subject in the Master Program. Morgan has worked on short films, music videos, and plays prior to her training at MUD, and won an award at the Insomniac Film Festival hosted in Jamestown, New York. During her intensive training at MUD, she was able to do a series of photo shoots ranging from beauty to fashion. By creating characters She hopes to inspire others and permeate the culture. Please enjoy this video as Morgan transforms the beautiful Abby Schaeffer (who happens to be Cheryl’s niece!) into the dark superhero of our dreams. Abby goes from being a beautiful young woman to a glamorous titan of strength and power! MWS has everything on hand that Morgan used to create this beautiful look. This is an incredible display of the wonders of makeup! Tagged Cosplay, Makeup, Raven, special effects, Teen Titans. Bookmark the permalink.